Qualitative researchers have long made use of many different interview forms. Yet, for novice researchers, making the connections between "theory" and "method" is not always easy. 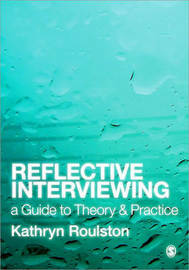 This book provides a theoretically-informed guide for researchers learning how to interview in the social sciences. In order to undertake quality research using qualitative interviews, a researcher must be able to theorize the application of interviews to investigate research problems in social science research. As part of this process, researchers examine their subject positions in relation to participants, and examine their interview interactions systematically to inform research design. This book provides a practical approach to interviewing, helping researchers to learn about themselves as interviewers in ways that will inform the design, conduct, analysis and representation of interview data. The author takes the reader through the practicalities of designing and conducting an interview study, and relates various forms of interview to different underlying epistemological assumptions about how knowledge is produced. The book concludes with practical advice and perspectives from experienced researchers who use interviews as a method of data generation. This book is written for a multidisciplinary audience of students of qualitative research methods. Kathryn Roulston is Professor in the Qualitative Research Program in the College of Education at the University of Georgia in Athens, Georgia. Her research interests include qualitative interviewing and analyses of talk-in-interaction. 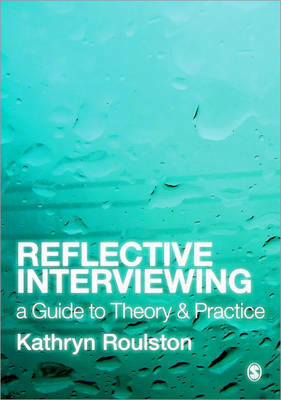 She is author of Reflective Interviewing: A Guide to Theory and Practice (2010) and has contributed chapters to several SAGE handbooks and articles to Qualitative Research, Qualitative Inquiry, International Journal of Qualitative Methods, Qualitative Research Journal, and International Review of Qualitative Research, among others. Her edited book, Interactional Studies of Qualitative Research Interviews (2019), is published by John Benjamins.